Getting a view into Hawai‘i’s current state of health may be a little easier thanks to a new website from the State Department of Health. 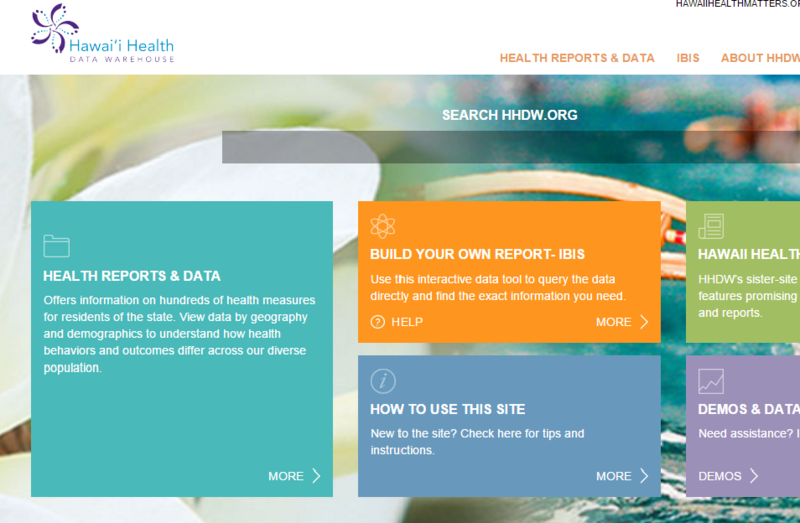 The Hawaii Health Data Warehouse is a collection of information gathered from surveys conducted year round. Today the DOH released a new interactive query tool called the “Indicator-Based Information System” or “IBIS”. Ginny Pressler is the Director of the Department of Health. She says the new platform puts Hawaii’s health data at the public’s fingertips. The site serves as an online clearing-house – providing data and statistics about everything from births, to how healthy a particular community is. Searches can be broken down by island, district, or gender and data can be easily graphed and exported for personal use. Rajani Starr is an Epidemiologist with the Chronic Disease Prevention and Health Promotion Division of the Department of Health. The IBIS database can be seen at HHDW.org and clicking on “Build Your Own Website”. State lawmakers were briefed today on where health agencies and medical facilities are in preparing for infectious disease outbreaks like Ebola. HPR’s Wayne Yoshioka reports.